The 2017 Engineering Taranaki Consortium (ETC) Apprenticeship Awards acknowledges Todd Energy as the platinum sponsor for 2017, being the 13th annual event which showcases the Taranaki regions engineering (including refrigeration) and electrical employers and apprentices. ETC Apprenticeship Awards strives to ensure that the achievements of the region’s engineering (including refrigeration) and electrical apprentices don’t go unrecognised and that those apprentices are rewarded for both excellence in their learning and their achievements throughout their apprenticeship. A new addition to the 2017 Awards is a new category ETC has set-up as “Gateway to Industry” award. 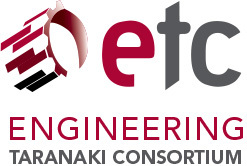 This new award aims to further promote the engineering, refrigeration and electrical industry pathwasys as career options for secondary student in Taranaki. ETC looks to build on the relationships between education (schools) and employment, with the Gateway programme acknowledged as a credible option for students to pathway into these industries. 2017, the Awards celebrate the value of ‘trade’ apprentices and their employers, alongside their peers, families and friends with the achievements of 409 apprentices @ 2016 being recognised at the Awards. Each year as the Awards event grows to near capacity at The Devon Hotel, with over 300 attendees including sponsors, employers, apprentices with their peers, families and friends hosts a night for all to be proud of as we celebrate together the talent of a new generation of trades people. The 2017 Platinum, Gold and Silver sponsors listed below.